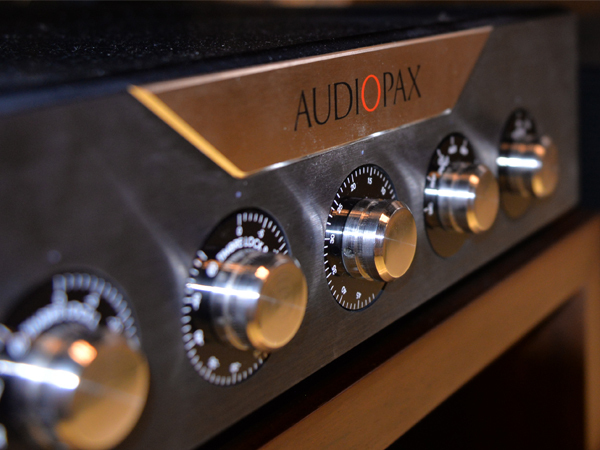 Audiopax have been in the high end market for almost 20 years and achieved a global recognition as one of the most innovative and successful brands. This has been due the phenomenal reception of two products: the Model 5 preamplifier and the Model 88 amplifier. Both of them having a long history of spectacular reviews, awards and "Best of the Show" from the main reviewers of specialized magazines/sites. Since these products have been so acclaimed there was a great challenge to create even better products: a reference line that could attain a similar reception from the market. The first product from this new line was presented in 2011 at the Munich High End Show - an amazing 100W tube amplifier working in pure Class A1. We named this new product line as Maggiore, a term that has not only a strong correlation with the concept of a reference (above all other products) but also with our musical roots - being a musical term that designates a major tonality. 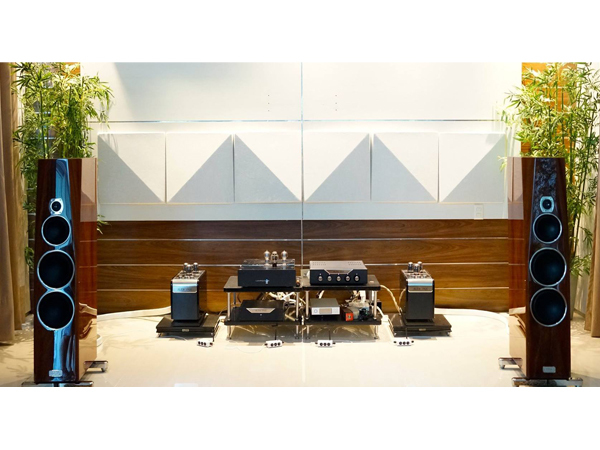 Though presented at that time as a prototype format, the Maggiore M100 amplifier demonstrated results which were 100% correlated with our original intentions, and our room was considered as one of the best of the show from several specialized sites - and as "The Best" from certain sites. The 6Moons' review of that year defined it as the perfect balance between the "tube" and "solid-state" worlds, achieving the best of both technologies. 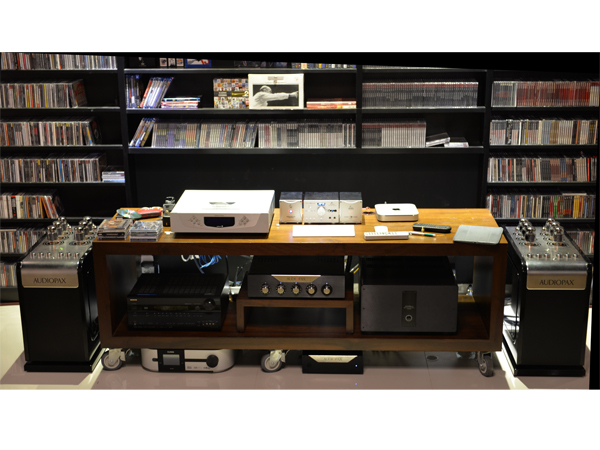 In 2015 we introduced two new products for this line: the reference preamplifier Maggiore L50 and the new reference tube amplifier Maggiore M50. Both were presented at the Munich and Newport shows with rave reviews. Just after these events the Maggiore L50 won our second "Blue Moon Award" (the first one was for the Model 88), with great emphasis on the exclusive Timbre Lock® adjustment, which easily allows integration with any system and that resulted in it being described as "The guarantee against boredom preamp". The Maggiore L50 preamplifier was designed with the same revolutionary topology as our acclaimed Model 5 preamplifier and is the perfect match for the Maggiore single-ended tube amplifiers. Its topology is one more example of the genius of our founder Eduardo de Lima. He created an unusual association between the ultimate in minimalism - with a very short and direct signal path - and a refined and complex control system through the use of unique power supplies. All audio paths go through one circuit stage that uses a single Mosfet active device working entirely without feedback (as with the entire Maggiore line). This guarantees the absolute integrity of everything which is played. The controlled polarization of this device is the key to its performance. Starting with two independent 240VDC power supplies (very unusual for a solid state preamplifier) passing through a circuit that controls the distortion spectrum and is capable of greatly reducing, or even eliminating, the characteristic distortion inherent in loudspeaker drivers. 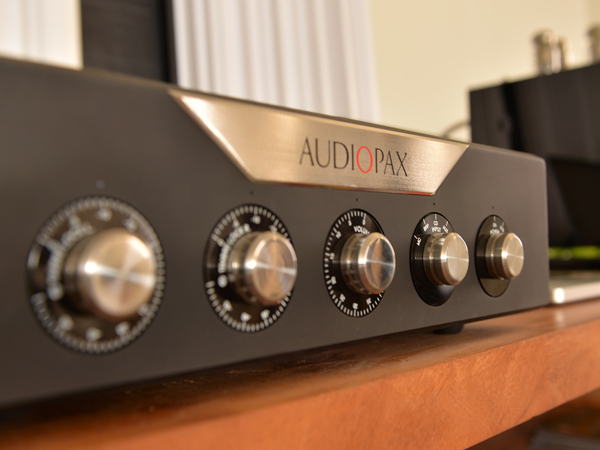 This makes it the best partnering pre-amplifier for any system. And yes, this is an implementation of our exclusive Timbre Lock® concept, and available in all our preamplifiers. Another innovation present in the Maggiore L50 is the use of inductive load which, due to the instantaneous current capacity obtained in this configuration (double the traditional resistive load), results in dynamics that can only be described as visceral, and hardly achieved by any other preamplifier available. The result of so many innovations is a product with an extended frequency response, exceptional low level resolution, tremendous immunity to load variations and visceral dynamics. Qualities which are associated with the best of both solid state and tube preamplifiers. The addition of the Maggiore L50 to any system almost redefines the role of a pre-amplifier, achieving in a direct and controllable way the concept of "synergy" between components and adding, rather than taking away - transparency as well as increasing dynamic contrasts and musicality. 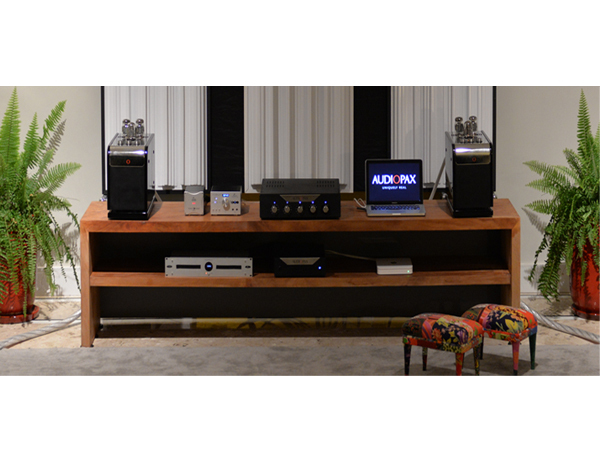 The basic design of every Audiopax tube amplifier is built around a revolutionary topology which is, probably, the only major innovation in this category in at least the last five decades. We have developed an ingenious combination of independent amplification sections with subtle differences between them. This is achieved through the utilization of slightly different output transformer configurations. It allows us to do what no other manufacturer, regardless of price, can do. We achieve a significant increase in final power for the tube employed, together with the creation of an "Ideal Audio Device” (as though we developed our own "dream audio tubes”). Not content just with emulating single-ended triode tube sound, we have effectively produced tube amplifiers which have all the desirable qualities of SET’s without their limitations. In addition to that we’ve provided a way to control the distortion spectrum of the amplifier by means of our exclusive Timbre Lock® control. This allows a perfect match with any loudspeaker. The final result being maximal possible cancellation of the loudspeaker’s harmonic distortions. This concept was originally launched in 2001 with our 30W single-ended Class A1 Model 88 and has now been taken to the ultimate with the Maggiore line. 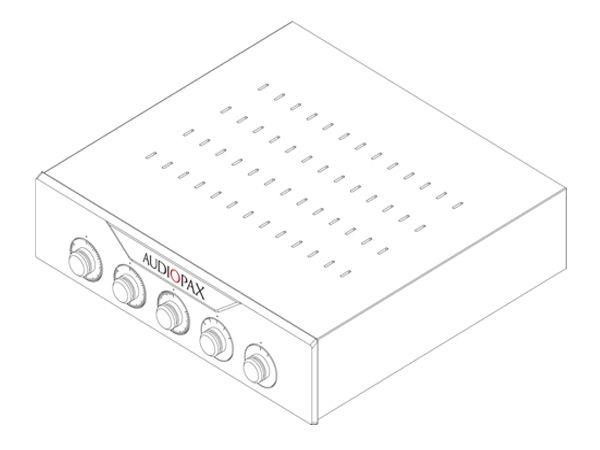 The exclusive Audiopax topology with two different and independent amplification sections within each mono block, initially utilized, in our Model 88 amplifier, becomes even more effective with the increase to three or even six independent amplification sections. These provide greater power and control with even better tuning for a more perfect match with any loudspeaker. However this presents greater challenges in keeping the noise floor at the same low level and achieving the same "speed" as with a smaller number of amplifiers. This involved a major change to the topology when going from two to three or six amplifiers and this is the main difference between the Model 88 and the Maggiore M50 and Maggiore M100. So, the change from two independent amplifiers working together to three or six, is not a simple question of adding amplifiers inside a chassis - we had to redesign several of our original circuits to match these new requirements. It is a challenge to associate low noise with speed in power supplies and this is exactly what we achieved with the new and redesigned power supplies of the Maggiore line. The same revision had to be made to the output transformers and this involves more than 30 different phases through in their production process. Something common for all the Maggiore line is the extreme care with the components, which are always selected from the best options in the high end market. All our transformers and coils, from the main toroidal for the power supplies to the output transformers and load coils for the amplifiers and preamplifiers, are designed and made exclusively for our products. The best laminates and wires are selected after years of research and tests. Every resistor and capacitor is selected for its specific function, such as the tiny Vishay foil resistors for the input signals and a specific series of Nichicon and Clarity caps for our power supplies. We also been using the best coupling caps in the world (such as V-cap CuTF or Duelund CAST-PIO Cu) for several years but decided to go even further, developing our unique and exclusive new series of copper capacitors for use in our equipment. These were produced in partnership with Jupiter Condensers, one of the main high end audio capacitors manufacturers of the market and took us two years of continuous effort to get the best possible performance. Several of our components are treated with an exclusive duo-cryo process, again the result of years of experimentation and research in this area. All of our equipment has benefited from the results of research in materials to absorb vibrations and today we are one of the few companies that uses solid wood, carefully selected for each production line. Revolutionary topologies associated with extensive use of R&D for the selection of all the parts, materials and processes used in our production makes the Maggiore line a true reference in the audio high end market. Logo após o sucesso na feira de Munich, a dupla Maggiore M50 / Maggiore L50 foi entregue à 6Moons para seu primeiro review. Srajan Ebaen considerou o Maggiore L50 como uma "ferramenta definitiva”, que transfigura seu sistema como um camaleão para qualquer ponto desejado, oscilando segundo o seu gosto entre as polaridades de "hard/soft, cool/warm, taut/limpid or fast/slow”. Ele reafirma também algo que indicamos: as chances de obtenção de “sinergia" entre os componentes de um sistema é sempre uma “roleta-russa”, onde muito dinheiro e esforço é gasto com mínimas chances de sucesso. 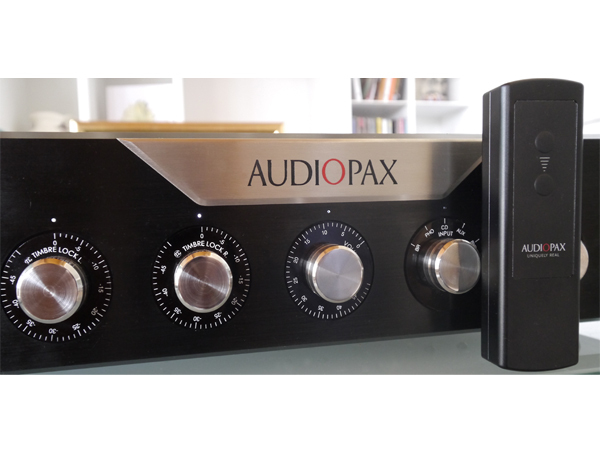 Nos equipamentos Audiopax isto é puramente um ajuste inteiramente à sua mão. 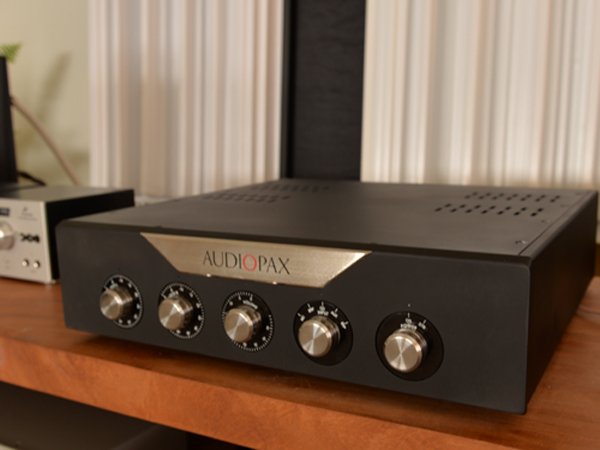 What Audiopax removes is the uncertainty and frustration inherent in the buy'n'sell gamble; and the danger that upgrading a component makes something else a little or lot less good. Be it the Audiopax preamp or mono amps, this kit finishes off the entire game to which, let's be honest, many gear heads are hopelessly addicted. In that sense, Audiopax is end-of-the-road stuff. In the sense that you can add to it without losing the centre, it's also ongoing tweak stuff. Ditto for shifting the balance on a lark not because it wasn't fab but because you're bored with sameness. In the final analysis and to my way of thinking, that in fact is the #1 attraction. Call it the anti boredom guarantee. Experienced listeners honest with themselves know this. No matter what, the upgrade itch keeps nagging just to change things. It's the hard-wired man virus of wanting an affair. It thrills only because it's temporary. With Audiopax, you can scratch that silly affair itch without causing a messy and costly divorce. For some this could indeed be priceless. At this demonstrable endlessly repeatable potency, it also seems utterly unique. For that reason and because it shows that tubes aren't at all required for this very clever circuit invention to work, I single out the L50 preamplifier with an award." Michael Lavorgna (Audiostream) considerou a sala Audiopax (com os Maggiore L50 e Maggiore M50) como a melhor de toda a feira High End 2015 em Munich, que contou neste ano com 506 exibidores. "Do you have a favorite room at the show so far?" asked Geoff Armstrong as I sat in his room on the last day of the show. "Yea, this one." I replied. The fact that I found this room, sponsored by Monaco's Sound Galleries, to be a few steps beyond most every other in terms of natural musicality speaks to all the parts that make up the whole. Rarely have I experience a similar sense of immediacy, flow, and effortlessness. You know like real music. Stunning clarity. Spark of life. Great control, delicate. Embodiment of singer. Lovely." Robert Harley (Absolute Sound) considerou a sala Audiopax(com os Maggiore L50 e Maggiore M50) como uma das melhores da feira T.H.E. Show Newport de 2015.